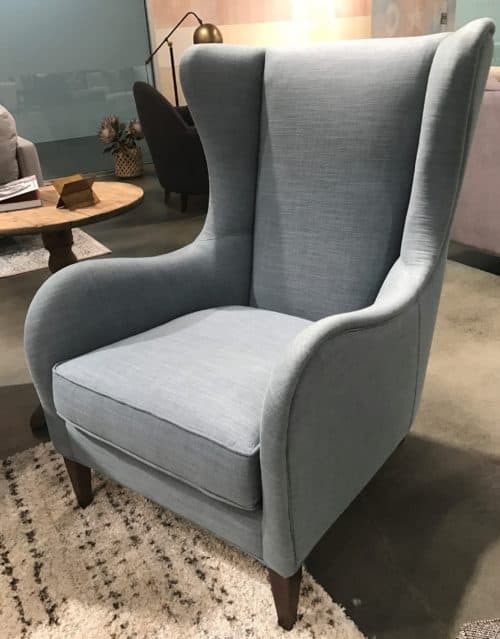 Wingback chair. 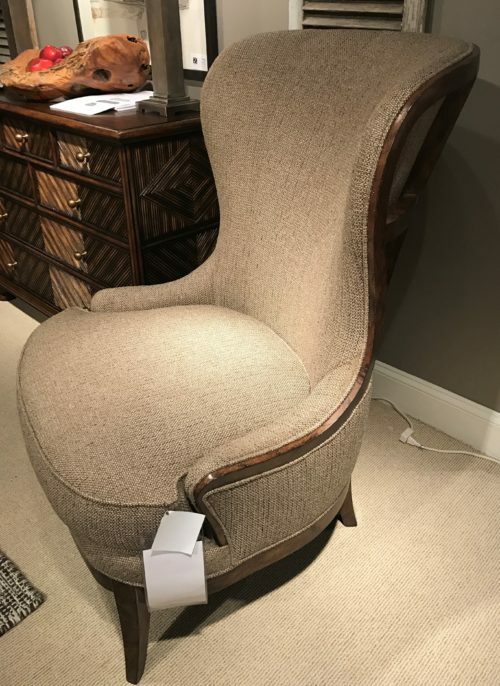 Ok, this post is not meant to be serious exploration into history of the wingback chair. There is plethora of the information on the web about its origins but I wanted to show it to you as I saw it recently. There is always something at High Point that your eye keeps stumbling upon. It was wingback chair this time for me. So, here is my free form ode to the wingback chair. Here you are more traditional but with more modern lines. With tufted back and nail accents. You wear leather. You have slightly pointed wings, a little bit flaring arms and double bun foot. I like how the leather has a slight wear to it. You are masculine. 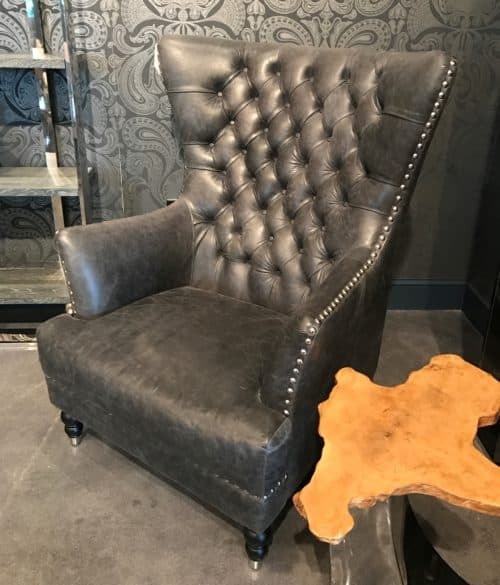 Wide wings make it look a bit more contemporary but leather cover, nails and tufting give it a traditional flair. 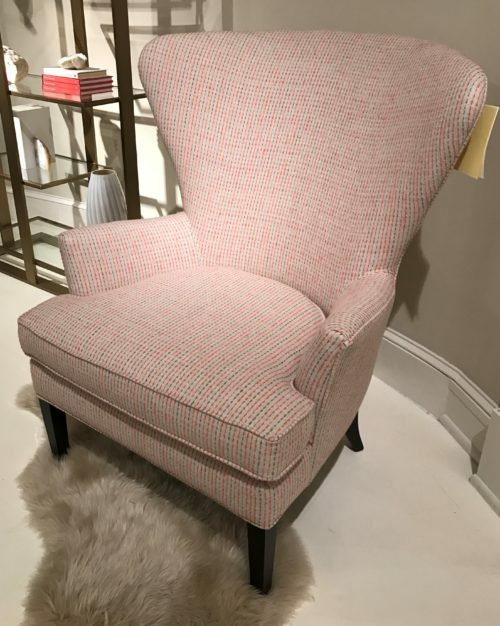 Shake off the nails, take out some tufting, change your feet to clean tapered leg, and put on rose textured fabric. You are so feminine now. 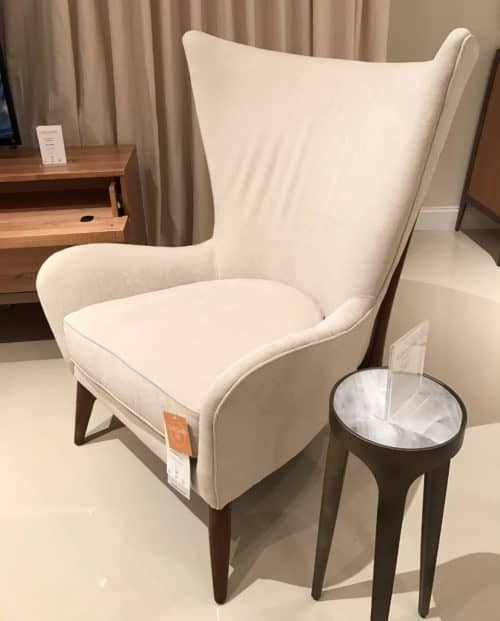 Smooth lines make this chair suitable fro a variety of room decor styles. If we bring back the nails, but leave the fabric light colored, you are still feminine. You have a tight back, shorter arms, and just few tufting buttons. 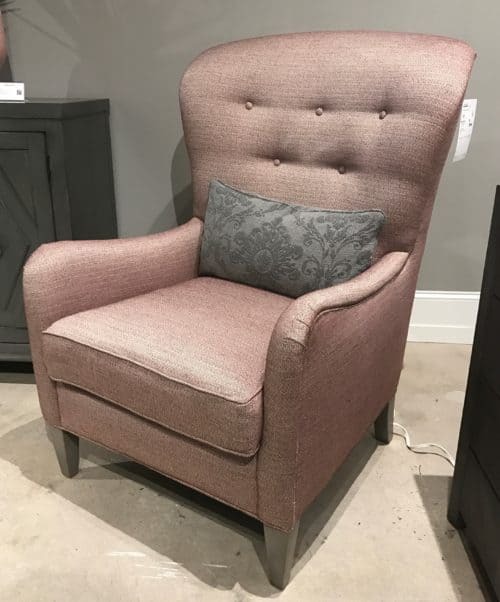 Nail accents and upholstery fabric in pale pink/beige make this chair look a bit formal. You are curvaceous! Nail accents adorn you, leather is tight, and you swivel. I will take this swivel chair any day! It is roomy and comfortable. Here you have wings defined. Your arms curve up a bit for added comfort. 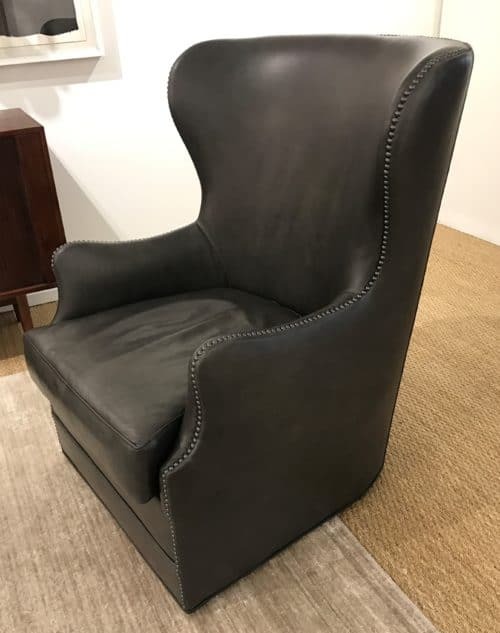 One of the very few wingback chairs we saw with a center panel defined on the back. With back tilted backward, you are in a lounging mode. Leaning back allows for more lounging experience with this chair. Look at the wood frame you are wearing! Look how your legs have a subtle curve! 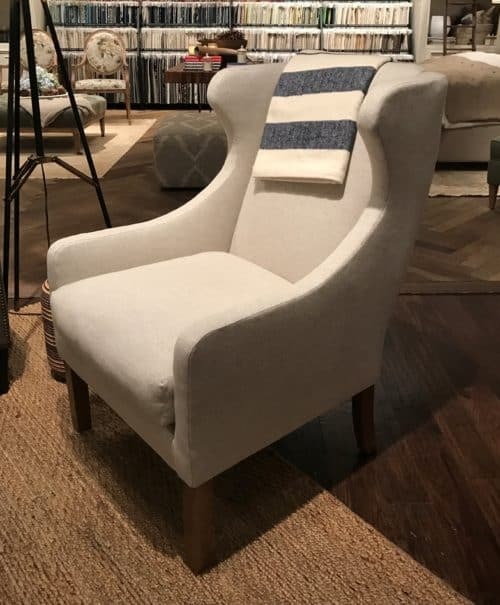 Wood frame defines the line of this wingback chair. You are outlined here with black frame, nail accents, this combo suits you so well! 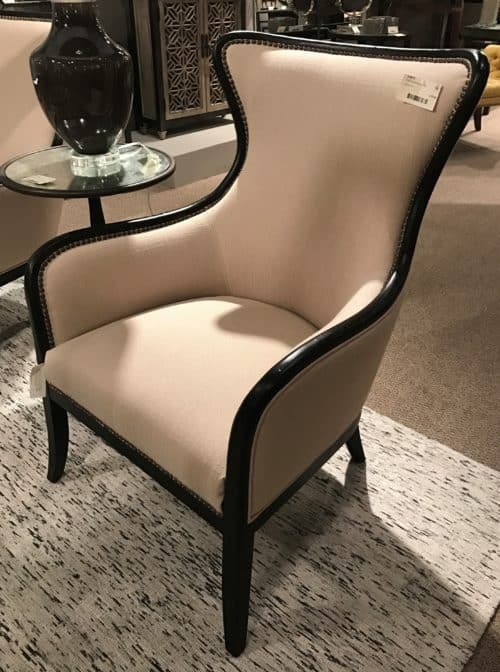 This chair will certainly be a visual accent in the room setting. You spread your wings wider to give your guest more room around the shoulders. You have the arms to rest one’s elbows. Nails and tufting is gone. You look more modern. 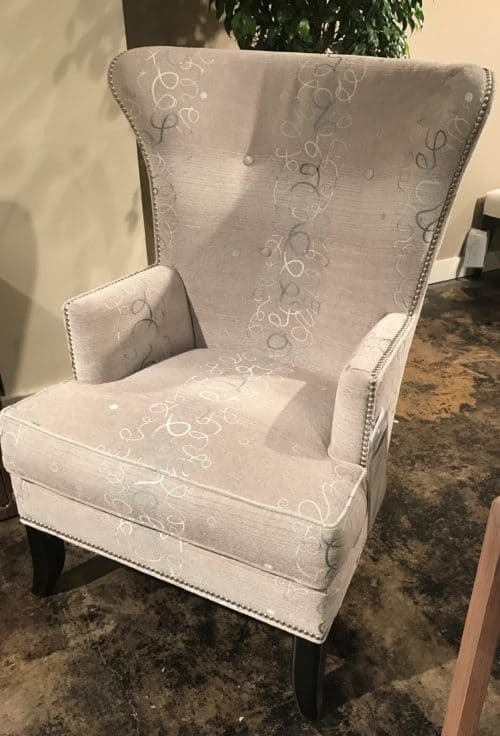 Transitional and modern areas will be a perfect background for this chair. You are slim. And contemporary. Chenille looks beautiful and comfortable on you! Beautiful, clean lines. Very attractive one! Traveling through the centuries, you arrived with lower back, slim, tapered legs, no nails, no tufting. You will fit nicely into the open space without obstructing the view. Lower back on this chair allows to placement in the rooms with standard ceiling height without obstructing the view. White! It looks stunning on you. The channel tufting is your contemporary answer to the buttons. And your curves will make your guest feel in heaven! 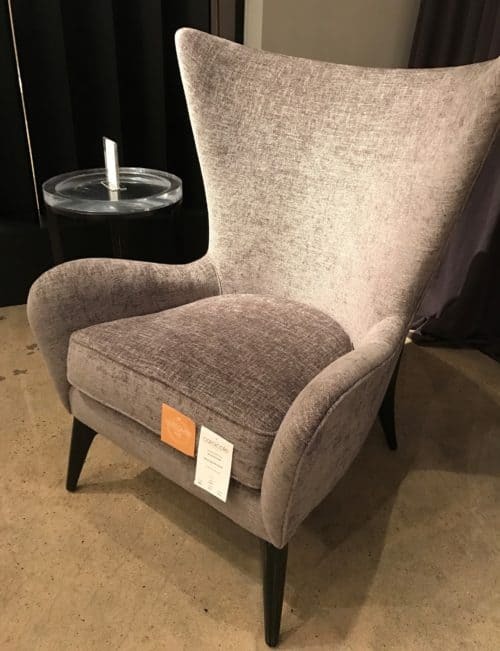 Such a pretty, contemporary interpretation of the classic chair! 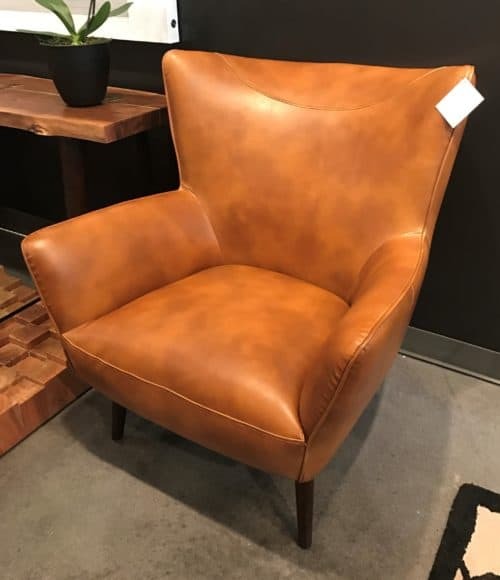 Very comfortable to sit in, beautiful, clean lines wingback chair. 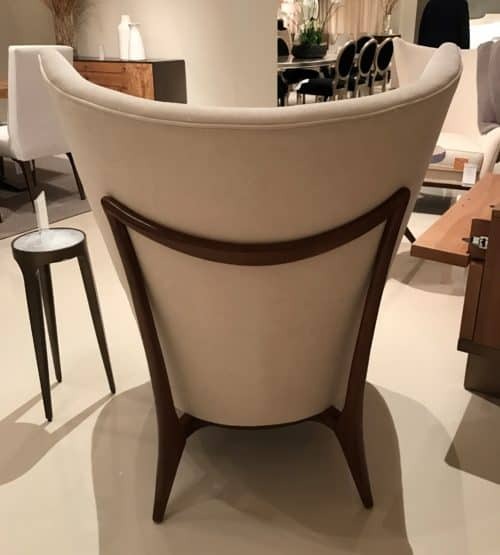 Love the exposed wood frame on the back on this chair! So elegant! As you can see, something classic can be re-designed into something that will be suitable to the modern days’ interiors. 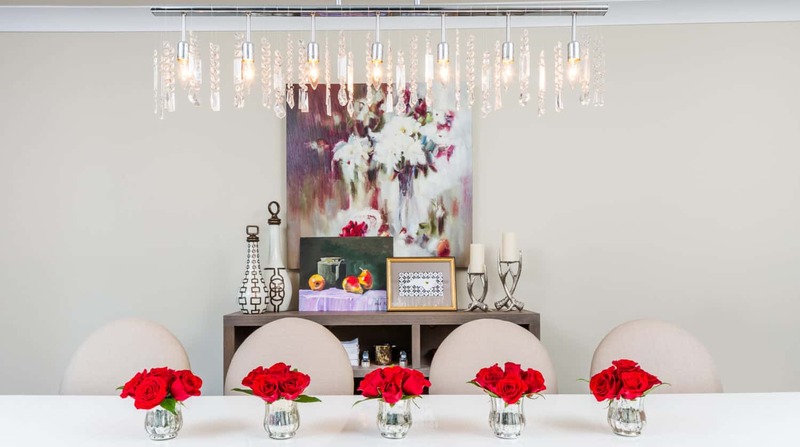 I think this particular transformation is beautiful and can be incorporated in many ways in many decor styles. 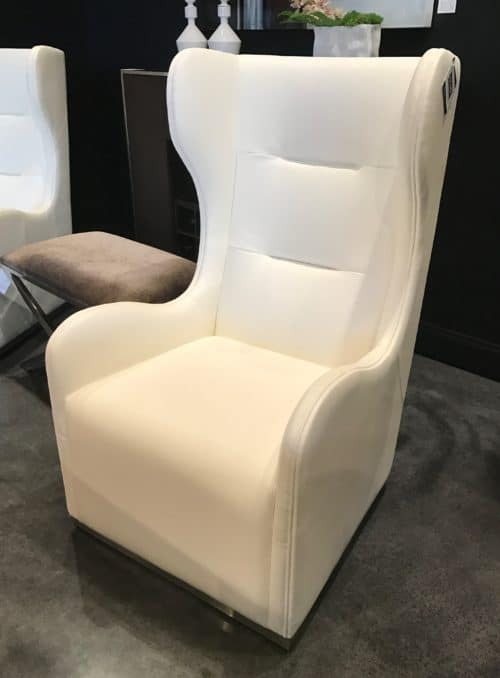 Are you in love with this chair now as I am? Can we find a perfect spot for it in your home? 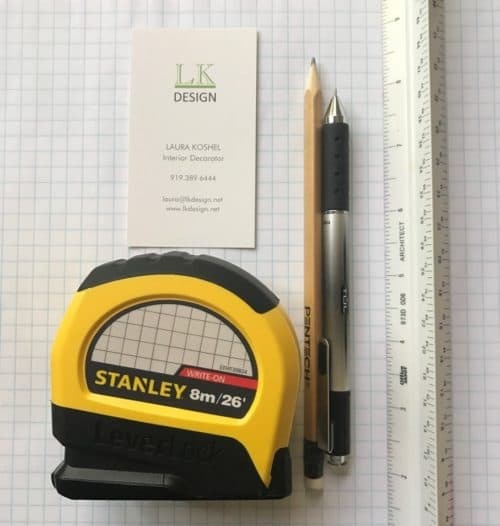 If so, or if you have other ideas in mind but not sure how to place furnishings or need professional advice on your decorating project, fill out the form below and let’s design something perfect for you and your lifestyle! With all inspiration and finds from High Point Market I am ready to take your project on!